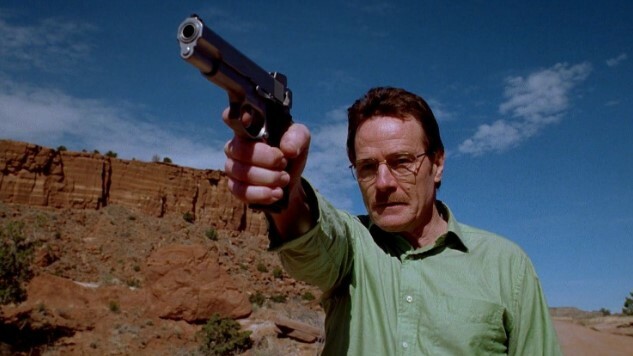 How many times while watching Vince Gilligan’s groundbreaking Breaking Bad did you think, “This is cool, but I wish I could stand inches away from that meth head’s diseased face”? A lot, right? Well, it’s looking like that dream may soon become a reality. Gilligan is teaming up with Sony’s Playstation division to make a brand-new virtual reality experience for Breaking Bad. This content will apparently not be a game—no Candy Meth Crush, yet—but it’s unclear what exactly the new content will be. We don’t know if it’ll be episodic or a one-off event, but Gilligan is apparently really pumped about the possibilities. The reason it matters that Gilligan will partner with Sony’s videogame division is because the new project will actually be computer-generated. What that will look like and when it will be released are still unannounced, but given Gilligan’s success with Breaking Bad spinoff Better Call Saul, we’ve got faith the man has more stories to tell in that meth-addled world.